N.T. 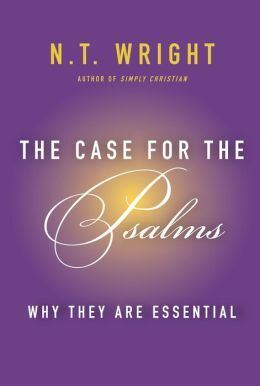 Wright recently came out with a book titled, “The Case for the Psalms.” In it he argues that the church needs to recover the practice of using the Psalms in our worship. In order to show the relevance of the Psalms to the life of the Christian he teaches us to read the Psalms in light of the New Testament. This leads him to read the Psalms Christologically, Pneumatologically, and through a Kingdom Lens. Its way too good! So let me quote him for you…. So I challenge you to try it out, read Psalm 122:1-5, and see how it changes when you see Jesus as the true fulfillment of the Temple in the Old Testament. How does this change the way you value the Psalms?